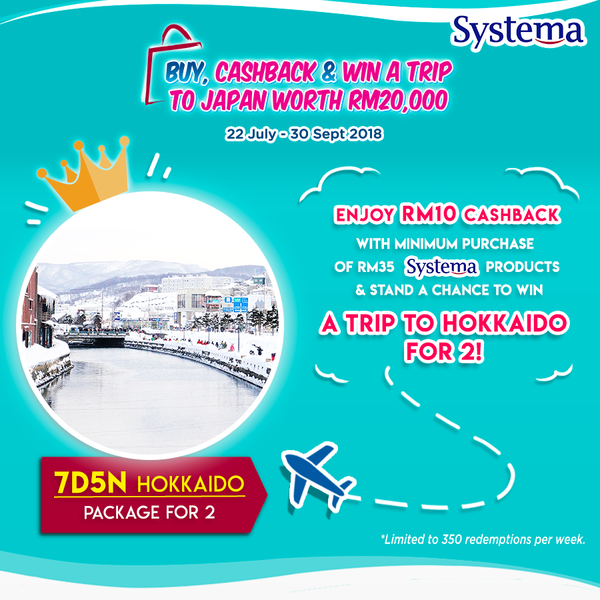 Systema buy, cashback & win a trip to Hokkaido! (活动已结束) Systema buy, cashback & win a trip to Hokkaido! Enjoy RM10 cashback with minimum purchase of RM35 Systema products & standa . chance to win a trip to Hokkaido for 2! - Stand a chance to win a 7D5N trip to Hokkaido for 2!